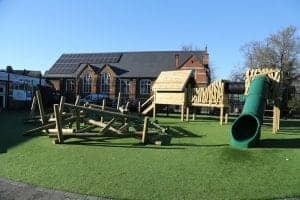 Here at Timotay Playscapes we specialise in playground design and the installation of MUGA or multi use games areas. We can provide all you need from design to install. We can even supply equipment too. We have many years experience in the sector and work nationwide also. Speak to us today and start the process, view our products online and how a MUGA install can look at your venue. We work with any sized project too. You can see many examples on our website and get an idea. Maybe you are stuck for ideas and inspiration, if this is the case we can help also. We can work with your ideas and then bring our own expertise into play too. Creating amazing and education environments for your business or personal use. Infact we can create a space for any location which incorporates your ideas. We will present to you a very detailed and complete no obligation quotation for your MUGA design. We can also offer advice and provide equipment also that is based upon the same values in that it should be educational and always fun. We have many years of experience and can provide our professional services nationwide as well. 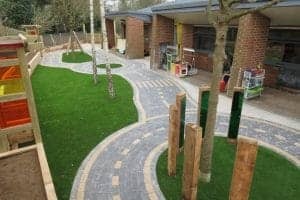 We always go beyond expectation the industry and adhere to standard safety regulations and we always take pride in the service we offer no matter what size the project is or location. Our full and complete service is 100% professional at all times. Multi use games areas can provide all year round use and can be suitable for many different activities both sporting and not. We always use hardwearing materials meaning the lifespan is very long indeed. Suitable for heavy use 7 days a week the areas can be any size and designed to fit any shaped area. We offer a free no obligation quote and can answer any questions you may have at any time. We understand you would like input from start to finish and we include this. 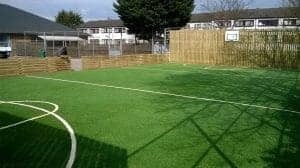 MUGA areas can provide a valuable income also to a commercial business. Bringing in much needed revenue too. Allowing fort any weather all year round usage too. Things like floodlights can also be incorporated allowing for night time use too. Essential if you are a business relying on income the MUGA generates. We can create indoor or outdoor multi use games areas and provide all the after equipment you could need. Ideal for schools or nurseries too allowing for school children to play safely and if need be in an educational environment too. View the many example son this website and see how we can help you make use of that spare space and maybe even generate an income. Speak to us today to start your free MUGA design and install quotation.